After getting engaged, Carline & James decided to do a civil ceremony with close friends in the beautiful foggy San Francisco Bay. 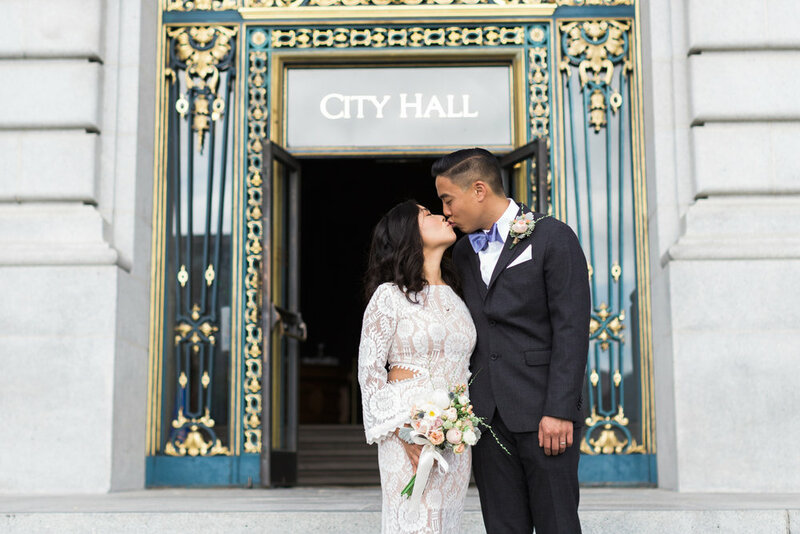 They celebrated their love with their close knit friends all ranging from 10-20 years of friendship, as we waited for their number to be called on in city hall discussions of how they first got together was filled with laughter and reminisce of a sophomore year spring fling dance. From teenage hearts pounding over their first kiss and holding hands to being a genuine, loving couple with beautiful smiles as big as the moon to finally tying the knot after 12 years of being together. 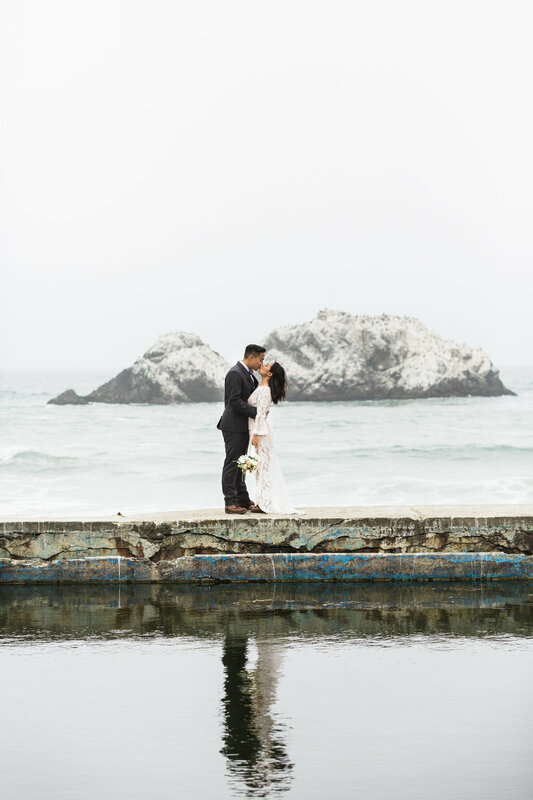 We celebrated their beautiful love for adventure by running around City Hall, Legion of Honor and Sutro Baths. Carline & James you both are so special to Nicolas and I - We wish you decades of happiness, adventure, laughter, love and friendship!